White House chief economic adviser Larry Kudlow speaks during a meeting between President Donald Trump and governors and lawmakers at the White House in April 2018. 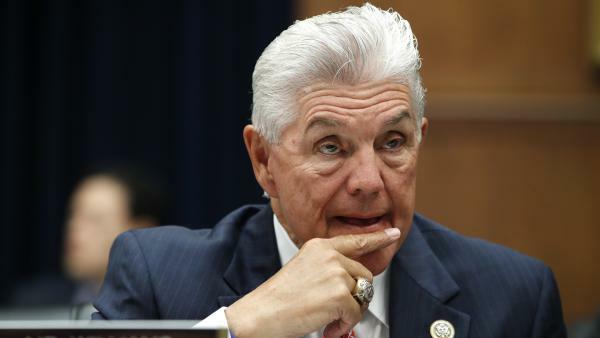 Rep. Roger Williams, R-Texas, was one of many Republican lawmakers to raise concerns about the Trump administration's trade policies on Thursday. 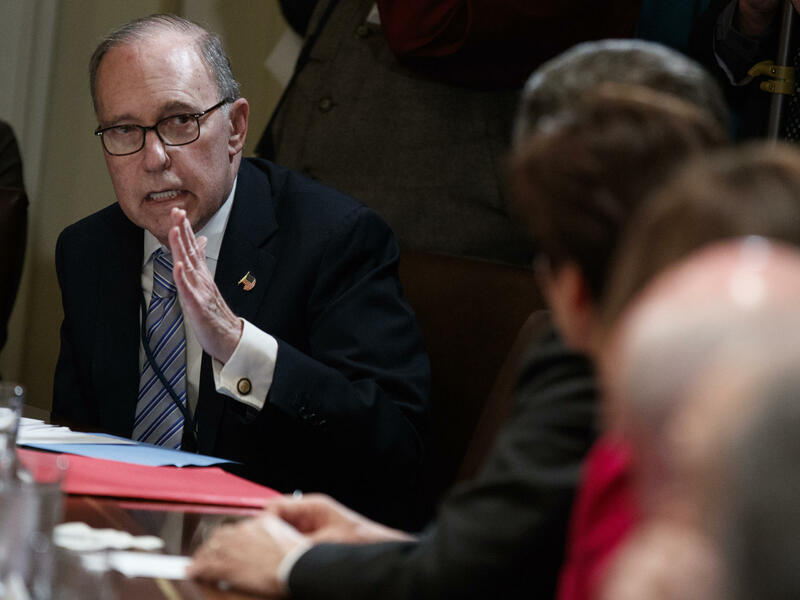 House Republicans confronted two of President Trump's top economic advisers on trade on Thursday, while also breathing a sigh of relief after the administration's decision to begin easing tensions with Europe a day earlier. The Rose Garden announcement on Wednesday with Trump and European Commission President Jean-Claude Juncker, in which both sides said progress was made toward retreating from a trade war, went a long way in buying the Trump administration time to prove its plan is working. Republicans in Congress have grown increasingly impatient as the president has enacted hard-line trade policies targeting imports from Mexico, Canada, the European Union, and China, to name a few. "[Trump]'s a great negotiator, he did a good job," said Rep. Roger Williams, R-Texas about the move to soften the administration's stance on some goods. But Williams personifies the bind many Republicans find themselves in. He's a pro-Trump lawmaker, but he's also a car dealer, and the auto industry is losing sleep over Trump's steel and aluminum tariffs, and the potential the administration has raised for more auto-related tariffs. Williams relayed his concerns to Larry Kudlow, the director of the National Economic Council, and Peter Navarro, one of president Trump's top trade advisers, when the two advisers met with House Republicans Thursday morning to debrief the lawmakers on the EU deal and American trade policy going forward. "My message was — they need to be very careful with tariffs on domestic content," Williams said. "[Car dealers are] already beginning to cancel orders with the manufacturers because they're fearful of tariffs... that can convert to less jobs, and job layoffs." 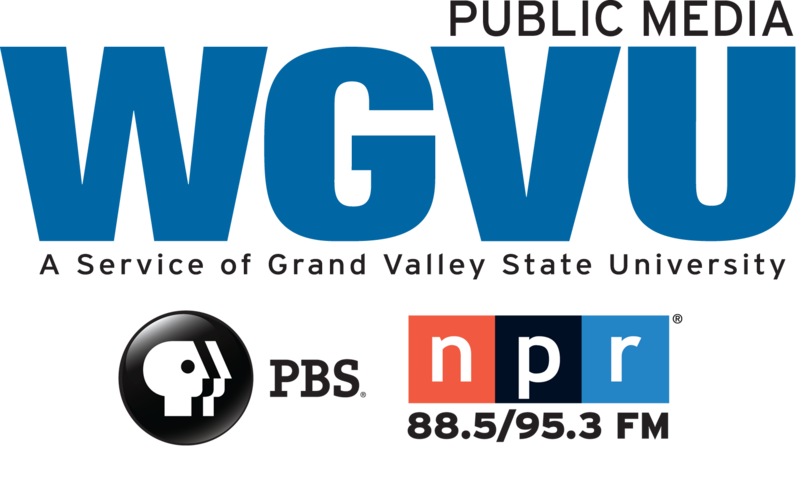 A "flood" of lawmakers expressed similar trade policy concerns to Kudlow and Navarro in the meeting, said Rep. Bill Huizenga, R-Mich.
"I was making sure they heard the message that this is not just uncomfortable, but it's painful and damaging," Huizenga said. "My constituents are being potentially put out of a job." But Huizenga also said it would be hard not to characterize Trump's Wednesday announcement as a win. Trump said he and Juncker agreed that the EU would buy U.S. soybeans, and that the EU would become a "massive buyer" of U.S. liquefied natural gas. Juncker declared he "had the intention to make a deal today and we made a deal today." The president said the two allies will also work to resolve tariffs on steel and aluminum, and work towards "zero tariffs, zero non-tariff barriers and zero subsidies on non-auto industrial goods." Trump said he "opened up Europe for you farmers," to a crowd in Iowa on Thursday. "Let me not just curse the darkness, I'm glad there was a candle lit yesterday with the European Union," Rep. Huizenga said. "It's progress. To have the temperature lowered with our European trading partners and allies is smart." Navarro met with Republicans on the House Ways and Means Committee Wednesday afternoon as well. Early in the week, the Trump administration came under fire after announcing a $12 billion subsidy program for farmers, especially soybean farmers, hurt by its own trade policies. It was unclear how much Wednesday's announcement that the EU would begin buying American soybeans would affect American farmers, as much of the hurt has actually come from tariffs on China. "We shouldn't have a policy that creates economic distress and then implement FDR-style New Deal era programs to remedy problems of our own creation," said Rep. Andy Barr, R-Ky.
His state has also been affected by retaliatory tariffs from the EU on bourbon, and Barr said he didn't feel satisfied by the amount of specificity in Thursday's briefing on whether that would also be resolved soon.